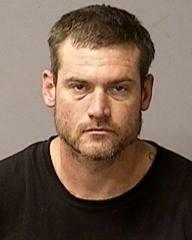 Newman, CA – Brandon Loyd (33, Ceres) was taken into custody yesterday (3/22/19) at 4:40 PM after a traffic stop on Hills Ferry Road outside of Newman. Loyd had managed to elude deputies for a couple of months as he went on a crime spree burglarizing homes and stealing vehicles. In December of 2018, Patterson detectives had identified Loyd as the suspect in a residential burglary in which firearms had been stolen from the home. In January of 2019 Sheriff’s detectives were able to identify Loyd as the suspect of another residential burglary in south Modesto where firearms were again stolen from a home. In that case, Loyd was captured on surveillance video and he arrived at the home in a stolen vehicle. Detectives began searching for Loyd and just missed out on apprehending him at several locations throughout the county and even at locations in Merced County. While on the run, Loyd was identified as the suspect in several more burglaries and vehicle thefts. During the course of the investigation, detectives learned that Loyd may be armed and had made comments to friends and family members that he would not go back to jail and would commit suicide by cop if necessary to avoid jail time. On February 20, 2019, the Sheriff’s Department put a wanted poster for Loyd on their Facebook page warning that he was believed to be armed and dangerous. Tips started coming into Crimestoppers and detectives began following up on several leads. On 3/22/19, detectives received a tip that Loyd would be in the area of the 13000 Block of Carpenter Road. Undercover detectives in unmarked vehicles staked out the area and shortly after 4:00 PM, spotted Loyd as a passenger in a vehicle. Detectives requested assistance from patrol and the Sheriff’s Department helicopter as they followed the vehicle updating the location to responding marked units. Once the helicopter arrived in the area, Deputy Nathan Crain and his K9 partner Colt, pulled in behind the vehicle to make the stop at Hills Ferry Road just west of River Road on the outskirts of Newman. As the car slowed, Loyd jumped out of the passenger side and ran towards a field in an attempt to flee. Deputy Crain deployed K9 Colt, who was able to apprehend Loyd so that Crain and detectives could take him into custody. Loyd was transported to a local hospital where he was treated for a bite wound sustained while being apprehended by Colt. He was then transported to the jail where booked for three counts of first-degree burglary, two counts of auto theft and two counts of possessing a stolen vehicle. The investigation is ongoing. Anyone with information regarding any of these cases is encouraged to call Detective Wilson at 209-525-7022. Video of the traffic stop and K9 apprehension was recorded by the Sheriff’s Department helicopter. Due to file size limitations on this platform, the video will be posted on the Sheriff's Department Facebook page.